Lauren Bacall has 1 media appearance. Lauren Bacall , By Myself and Then Some. The Brilliant Lecture Series: Conversations with Brilliance presents an intimate evening with Lauren Bacall. An exclusive film screening of To Have and Have Not will take place at River Oaks Theatre at 6:30 pm, followed by a Q&A with Ms. Bacall. Brazos Bookstore will sell her memoir, By Myself and Then Some, after the Q&A. 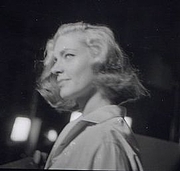 Lauren Bacall is currently considered a "single author." If one or more works are by a distinct, homonymous authors, go ahead and split the author. Lauren Bacall is composed of 2 names. You can examine and separate out names.